What a neighborhood, what a location, what a lot! 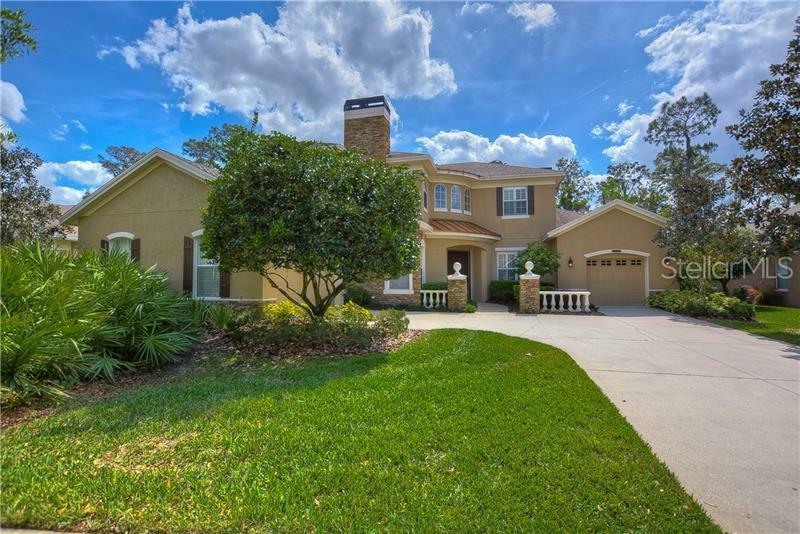 This home is located on one of the largest cul-da-sac lots in the private gated enclave of Riverwood Hammocks! Beautiful winding tree lined streets lead to this incredible opportunity to live on an oversized lot with direct access to the Alafia River! You can have great adventures hiking through the treed conservation. Huck Finn would be in paradise! The entire outdoor area of this house is fantastic w/2016 NEW oversized, brick pavered lanai, pool & spa & stunning outdoor kitchen! But letâs not only focus on the outside when the inside is magnificent too! Beautiful elevation, & oh so grand with flexible floorplan, formals, office or music room awaits just inside the leaded glass doors with hardwood floors leading in all directions! Gorgeous staircase looks like a magazine cover! Slip through to the inviting family room & it just says home! Open kitchen w/42â rich wood cabinets, upgraded appliances & granite overlooks family room with built-ins & fireplace! The view to the private oasis outside is amazing & the bonus room is also located near by so there is always room for more at your party! Head up the stairs & find a beautiful master suite w/wet bar, upgraded boutique walk-in closets & stunning en-suite. Of course, there are double vanities & oversized tub & shower! You can tell a designer lived here. All bedrooms are upstairs & custom closets will make you feel like a celebrity. I could talk all day about the details, but you must come see!